At Tarmac Sportz we are happy to do the hard work for you, we have a fitting bay and can do most bolt on applications such as Exhausts, Intakes, Brakes and Suspension. We do NOT undertake large time consuming mechanical jobs as this is a more specialists area, we do not currently offer tuning services. Here at Tarmac Sportz in Derby we have a fully insured fitting bay so we can supply and fit the products you need to upgrade your performance car. Performance aftermarket parts should always be fitted by an experienced garage and we certainly have experience when it comes to aftermarket parts, we are based in Derby in the Midlands but we have had customers travel from all over England. 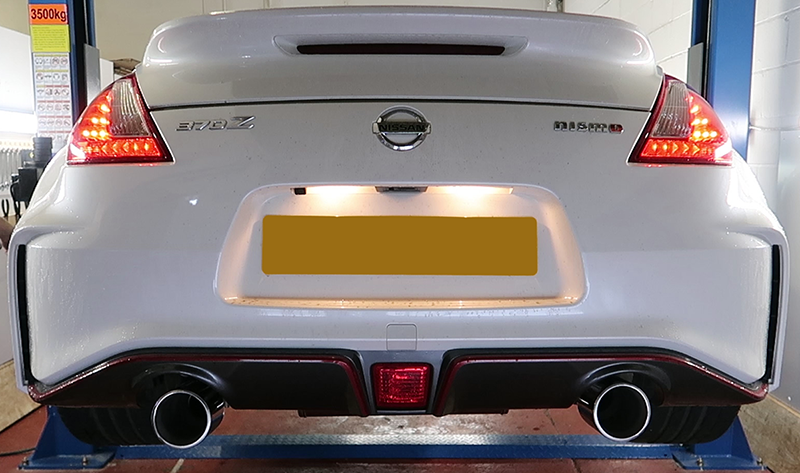 We fitted the first aftermarket exhaust on a UK Stinger and have fitted parts on anything from Corsa’s to Porsches. We are approved fitters for Invidia Exhausts, Milltek Exhausts, Cobra Sport Exhausts, Remus Exhausts, Japspeed Exhausts and more. If you are looking to upgrade your brakes we supply and fit brands such as Stoptech and Hawk Performance, We can also fit EBC Brakes and Discs, although we don’t list every EBC part if they make it we can get it and we can supply and fit them. All Tarmac Sportz products we sell we can fit here in our fitting bay in Derby at very competitive prices, we can also offer fitting discounts if you are purchasing multiple items.